You and your livestock might be itching to start grazing. Victor Shelton tells us why it’s not a good idea to start too early, and what you can do in the meantime to scratch that itch without causing problems for yourself. Yes, it appears that we are trying to having an early spring, but I refuse to count those chicks before they hatch! Abnormally warm weather in February and early March is not that uncommon here in Indiana, unfortunately neither are late March and early April snows. On average across the state, the accumulated growing degree days are higher than normal so far this year. I know sometimes the hay is not the best quality. Better to supplement poor hay and keep feeding it, if available, than to start grazing too early. Now I say that somewhat tongue in cheek because sometimes you want to set the stand back a bit to remove competition. Such would be the case where you have frost seeded clover into the field. This would be a factor only if it was not grazed down tighter at the end of the previous grazing season or as dormant stockpiled forage. If it was grazed down close before, especially if grazed down before going dormant last fall, then you don’t want to graze it close again, just utilize it in the normal rotation. 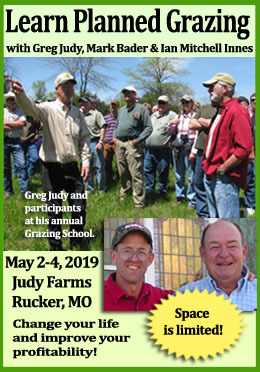 Fields that were grazed down tight last fall or over winter as stockpiled forage will not have adequate amount of standing dry matter, i.e., fiber available, and would not be the best fields to start grazing early anyway. Those fields will lack sufficient fiber to go with all the washy high water, high protein forage that will come on with first growth. All ruminant livestock need to balance the carbon nitrogen ratio in their rumens to maintain that mat. If they don’t they will not perform the way we want them to, i.e., less weight gain, less milk production. It just goes through them faster than they can effectively utilize it…and you know what that means. I’ve said it many times…don’t stand too close behind those cows! I would hope you have been able to keep at least one or two fields with some stockpiled forage for early spring use. Stockpiled forages left from the previous season mixed with that new growth grass makes for a nicely balanced sward for grazing in the spring and a really nice place to calve, including minimal mud and good quality balanced forage to eat. If you have never tried it, you will wonder why you haven’t. This is normally one of my favorite times of the year to build fence. We often get nice breaks in the weather, not too hot or cold and soil conditions are usually very good for pounding posts. If you are in the early stages of doing some divisions and want to keep some flexibility, then utilize longer linear fences dividing bigger areas into longer narrower fields which can be easily subdivided down with temporary fence into whatever size is needed or cut for hay, if needed. Now is also a good time to get those soil tests done. Of course, if you haven’t taken any for a while, then it is even a better time. The plugs will pull pretty easy right now and you should have plenty of time to get them sent in and get results back in time to apply any needed nutrients before the real growing season. 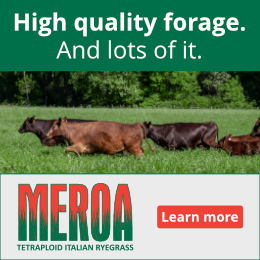 It is extremely difficult to maintain a stand of quality forages that will produce quality, nutritious feed without adequate soil fertility levels. Everyone has tried it, but you soon see that by “getting by” with lower levels of nutrients, especially phosphorus and potassium, you are doing just that, “getting by,” but with lower yields, lower quality forages, and lower carrying capacities. Just like an annual field crop, your forage crop needs to be fertilized and managed. Once the field is to moderate or better levels of fertility it is easy to maintain it at that level if it is only used for grazing. Any mechanical removal takes away nutrients that will need to be replaced. Graze as much as you can and hay as little as you can, especially land that is hard to get fertilizer equipment on. Thanks to Langston University Research and Extension for this chart. Nothing affects availability of nutrients more than calcium. It is one element that I’m not sure you really could ever over apply, and certainly one of the best first dollars spent! Calcium and its relationship or ratio with magnesium, have a major impact on the forage’s ability to extract nutrients from the soil and certainly the acidity or alkalinity of the soil which can certainly dictate what will or can grow there. I would shoot for at least a 4:1 ratio of calcium to magnesium, or 5:1 if a dairy. If you are really short on calcium and start fixing that problem then you might find out that other important elements start becoming more readily available. I’ve seen available phosphorus almost double after lime was applied or especially high cal lime. If total phosphorus is a lot higher than available phosphorus results on a basic soil test, then calcium is normally not adequate. Now, if you are planning to take an early cutting of hay off a field, then putting most or all of your fertilizer on in early spring is not too bad an idea; especially any nitrogen. 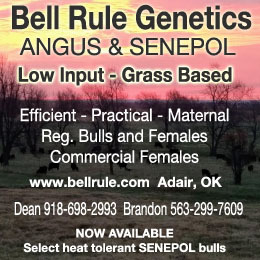 If the application is on pasture, then you may want to rethink it just a little. There is no use adding fuel to the fire by adding a lot of nitrogen to that spring growth spurt. You are much better off to wait and do at least a split application. Apply half of it in mid-June toward the end of the spring growth and the other half in early fall to help that great fall-growth period. The June application will help you keep things going through the summer better…especially with some timely rains…if that is possible.